Confidence - 'The feeling or belief that one can have faith in or rely on someone or something'. So the broad definition goes. Taking that by the letter, it would be most unfair to suggest the Ireland side has lost confidence in its entirety. No more than we were prospective World Cup champions before this calendar year began are we fake news now. The truth, as always, lies somewhere in between. Naturally, the players will deny any drop in morale within this the most successful group in Irish rugby-playing history. Joe Schmidt has of necessity been much more realistic in recognising this dip in form and what it means. The time is right, in his words, "to take a step back and draw breath". However simplistic that might sound, we do look a team under pressure and the harder we try and come up short, the greater the pressure next time out. There are two types of player: those who respond to the slap on the back and those in need of the kick up the a**e. I think it was Tipp hurling legend Babs Keating in his management days who pointed to the slap on the back being mere inches from the kick in the a**e.
Point being it's a difficult balancing act for every coach whatever the code. One of the keys to good coaching is getting to know individual idiosyncrasies and then having the ability (and it's a lot more than common sense) to press the most appropriate button before any match. Maybe just maybe that is a new and different challenge that now faces our greatest ever coach. I wish Schmidt wasn't leaving after the World Cup but he is and, despite players saying all the right things, his imminent departure has to impact on the group psyche given he too is in a different place psychologically to the year before. We have two away wins already in the bank and in any other year - certainly prior to Schmidt's arrival - that would be deemed an achievement in itself but these are changed times with different standards and levels of expectation. We've won in Edinburgh and Rome not playing particularly well in either venue yet ultimately deserving to come out on top both times. That suggests a side operating in low gear. Injuries have, of course, played a part but that comes with the territory and nature of the sport. We have now the greatest strength in depth we have ever enjoyed. That is fact not opinion and due in the main to this head coach's work on the back of that losing World Cup experience in 2015. On a further positive note, it looks like Robbie Henshaw, CJ Stander, Garry Ringrose, Tadhg Beirne, Jack Conan plus Rory Best, Cian Healy and James Ryan (the latter three rested in Rome) could be back to face the French. The big decision for Schmidt, Andy Farrell, Simon Easterby and the rest is whether to spread the World Cup net further still or go with the tried and trusted who have come up short of late. Putting myself in Schmidt's shoes I would be looking to field what I deem to be the strongest 23 available. Forget about Japan, even Cardiff, because the visit of France to Dublin is the biggest game on the rugby horizon. We need to win against a French side growing in poise and no doubt confidence having beaten the Scots in relative comfort. Bear in mind that they too are recovering on the back of an English drubbing so in the context of 2019 this match is massive. And not just in terms of outcome but also quality of performance. If we are as good as we think we are and the World Rugby rankings suggest, then we need a win in seven days' time with substance and conviction. Again it is a sign of the times when a win over the French in itself will not be enough. So to that end what can we expect in terms of selection? Assuming everyone to be fit, I would have Garry Ringrose and Robbie Henshaw back at centre. It would be great to see some of the young guns get a run at half-back but the strategic importance of this game demands our strongest 15 and that is still Conor Murray and Johnny Sexton. Dave Kilcoyne did himself no harm last time but Healy and Best will return alongside Tadhg Furlong. I would have Iain Henderson and James Ryan in the second-row and, with Seán O'Brien and Jordi Murphy likely to pay a heavy price for being below par in Rome. 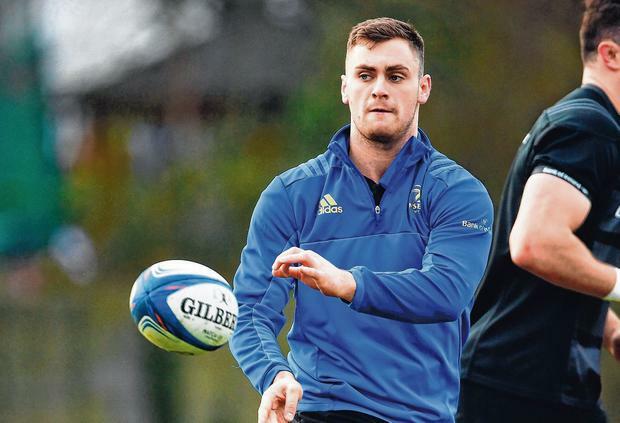 O'Brien is still lacking match sharpness due to missing lot of game time with injury, which means Josh van der Flier and CJ Stander will be at seven and eight. 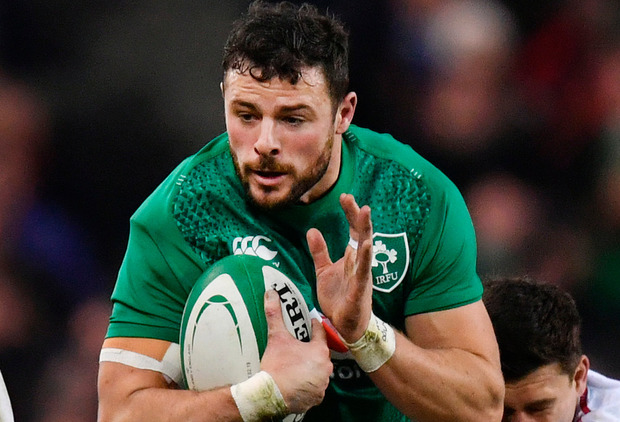 My Ireland team v France: R Kearney; K Earls, G Ringrose, R Henshaw, J Stockdale; J Sexton, C Murray; C Healy, R Best, T Furlong; I Henderson, J Ryan; P O'Mahony, J van der Flier, CJ Stander. Reps: S Cronin, D Kilcoyne, A Porter, T Beirne, S O'Brien, K Marmion/J Cooney, J Carty, A Conway.